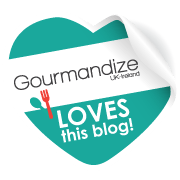 For this recipe the aubergine is the star of the show, you don’t want to dice them too small and lose the texture of them. I don’t bother salting my aubergine beforehand as I have tried it before and never found it to make that much of a difference. 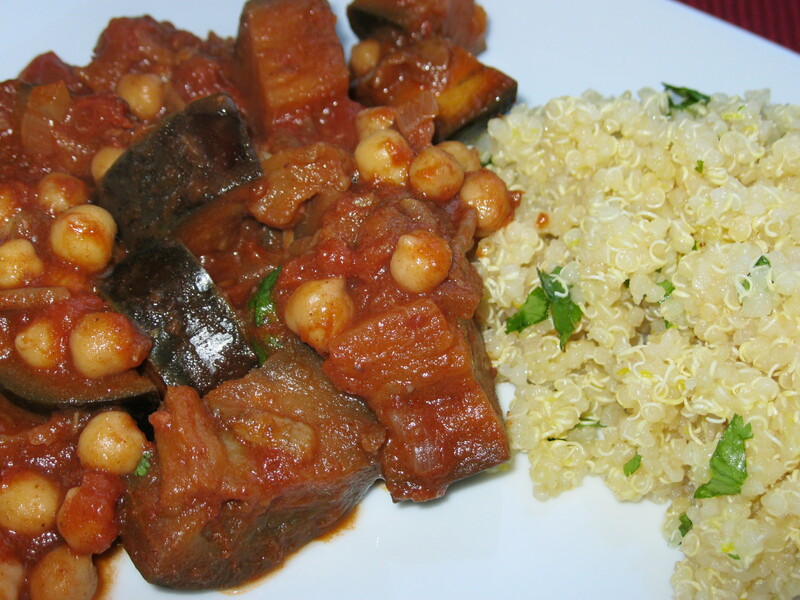 In a tagine or casserole dish, heat the oil over a medium heat and add the onion, cooking gently until translucent. Add the garlic and cook until fragrant. 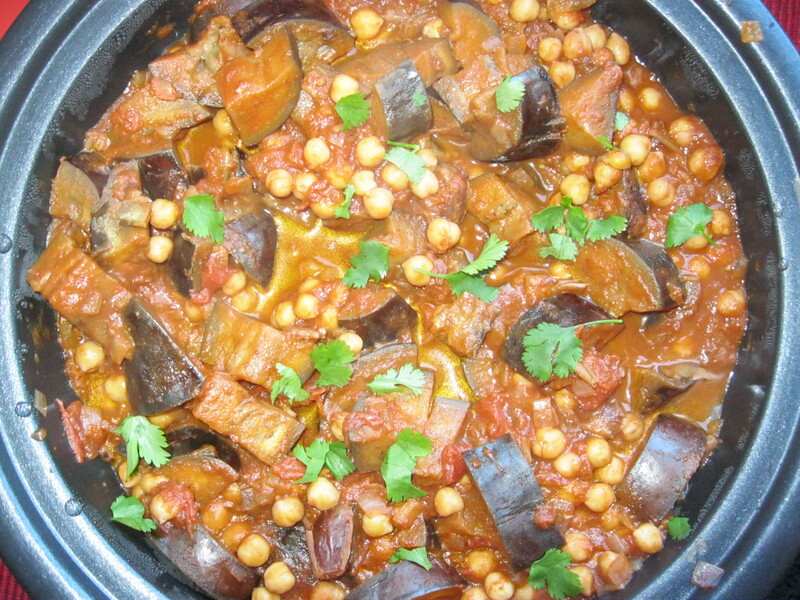 Add the aubergine – you may need to do this in batches – and cook until browned, should take a few minutes. Next add the harissa paste and stir to coat all the aubergine pieces. Add all the remaining ingredients except the coriander leaves and bring to a boil. Reduce to a simmer and cover with a tight-fitting lid. Cook for 45 minutes to an hour, stirring a couple of times. The aubergine should be soft but has held its shape. I like to serve this with lemon and coriander quinoa and a dollop of coconut yoghurt on the side. I hope you like it! It’s even better the next day too!